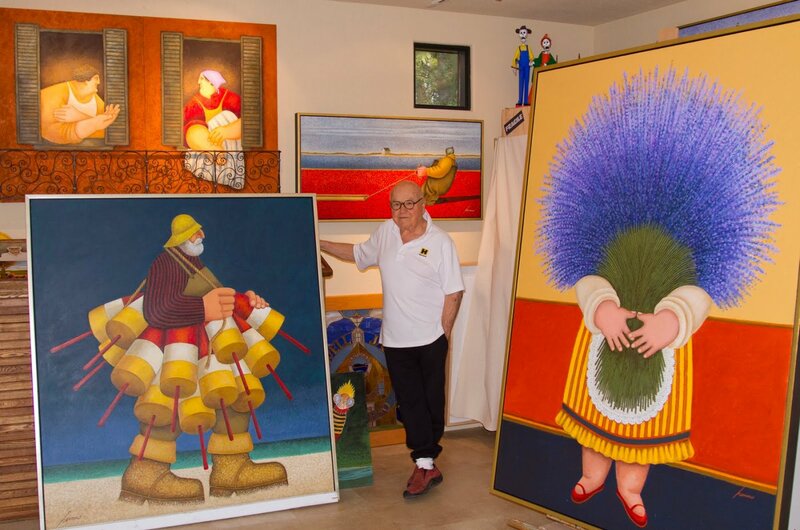 Iconic Napa Valley artist Lowell Herrero turned his passion for living into an enduring work of art. From his home in Calistoga, Herrero traveled to Tuscany, Provence, and Spain, absorbing the lessons of their sensuous and vivid landscapes. Portraying plump figures in the lavender fields and sinuous groves of olive trees, his work defined Napa Valley’s popular image. Now on the 10th anniversary of the Museum’s last Herrero retrospective, we examine his life, work, and the works of artists who influenced the valley’s legendary “Lavender Man.” Curated by Jennifer Garden, with previously-unseen works provided by Herrero’s wife Janet Gentile Herrero. 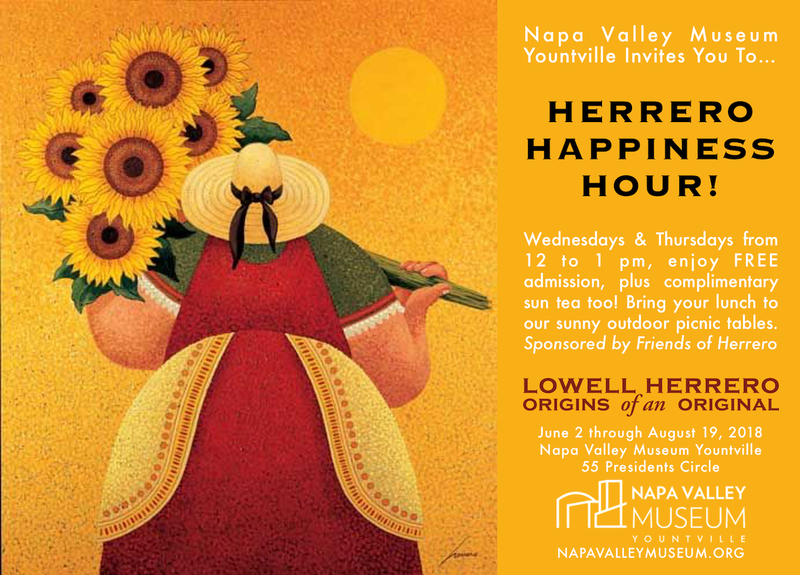 To celebrate the Napa Valley Museum Yountville’s summer exhibit: “Lowell Herrero: Origins of an Original,” the Museum will offer HERRERO HAPPINESS HOURfrom 12 noon to 1 pm on Wednesdays and Thursdays starting now through the exhibit’s run, which ends on August 19. Admission during this hour will be Free to the Public, and guests will be offered sun tea and other surprises. The Museum’s sunny outdoor picnic tables will be available for those wanting to bring their lunch, and experience this joyful tribute to one of the Napa Valley’s most beloved artists. Sponsored by the Friends of Herrero.